Click the Menu icon, click Integration, and then click QBOE. Note The QBOE page is not available if the QuickBooks Online integration is not turned on. On the QBOE page, on the Settings tab, enter the following settings, and then click Save. 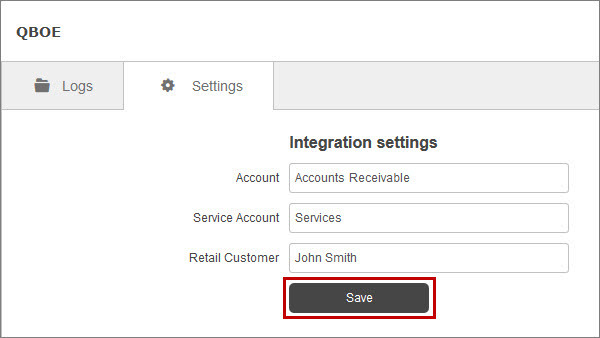 Retail Customer setting defines to which customers in QuickBooks Online invoices must be imported. If you leave the Retail Customer box empty, then each approved invoice will be imported to the corresponding retail customer in QuickBooks Online. 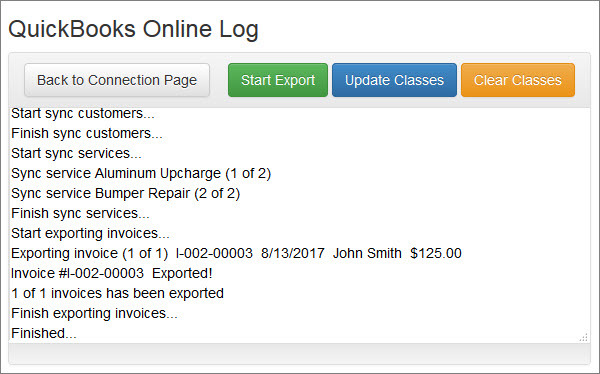 For example, invoices of customer John Smith in Repair360 will be imported to the account of customer John Smith in QuickBooks Online, while invoices of customer Jack Wesson in Repair360 will be imported to the account of retail customer Jack Wesson in QuickBooks Online. 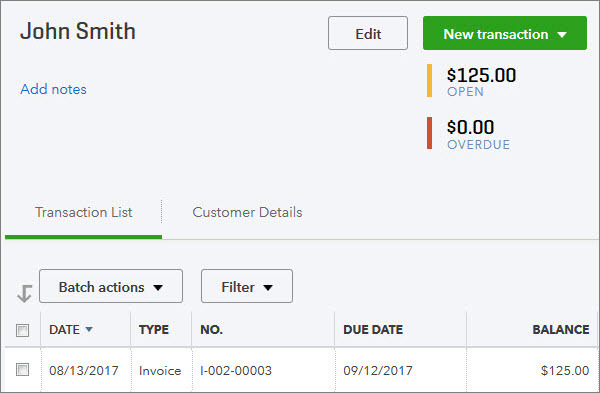 If the corresponding customer does not exist in QuickBooks Online, the new customer account will be created in QuickBooks Online automatically. If you enter the name of a particular retail customer in QuickBooks Online into the Retail Customer box, then all approved invoices will be imported to this retail customer in QuickBooks Online even if they are created for different customers in Repair360. 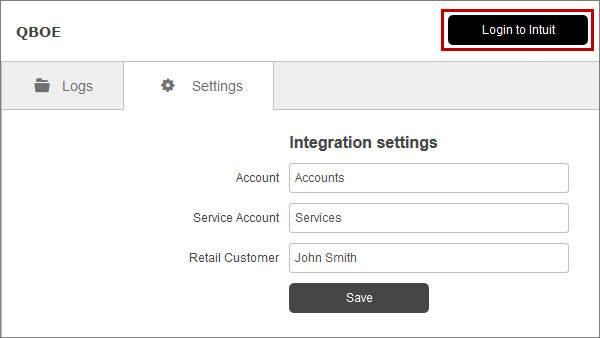 For example, if you enter John Smith in the Retail Customer box, then invoices of customers John Smith and Jack Wesson will be imported to John Smith account in QuickBooks Online. Note Before exporting invoices to QuickBooks Online, please make sure that you have invoices in the Approved status with a non-zero amount. Click the Login to Intuit button. 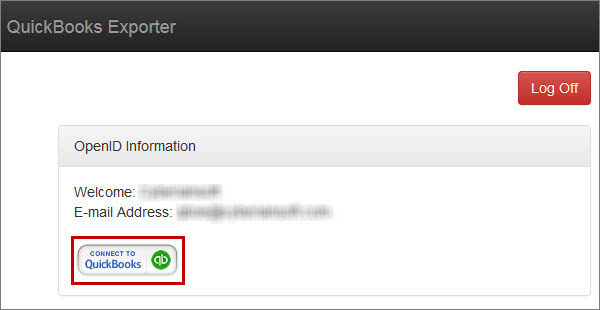 On the QuickBooks Exporter page, click the Sign in with Intuit button, and then sign in with your Intuit account. Note If you sign in for the first time you will need to confirm your account by entering a code (or in a different way). Note If you manage multiple QuickBooks companies, you will need to click the company you want to connect to. 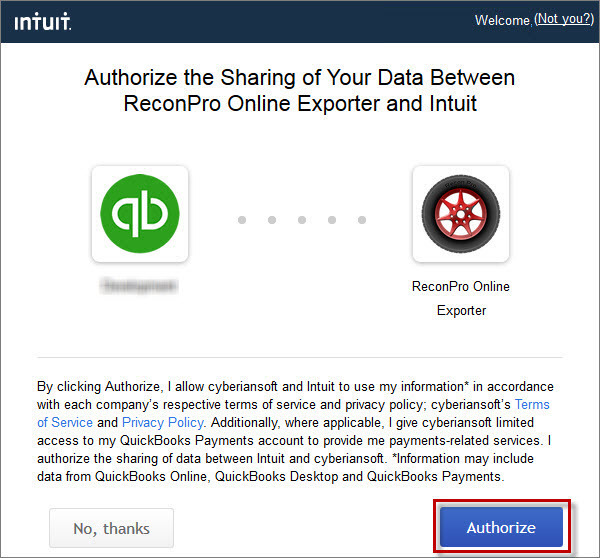 On the Authorize the Sharing of Your Data Between ReconPro Online Exporter and Intuit page, click Authorize. On the QuickBooks Exporter page, click QuickBooks Online Exporter. Note You can track the exporting process to make sure that the appropriate invoices have been exported. 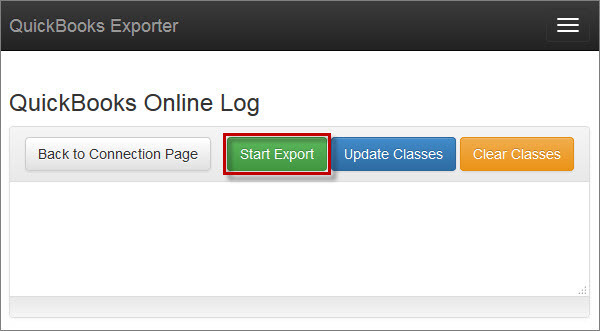 Tip You can see the export logs on the Logs tab of the QBOE page. 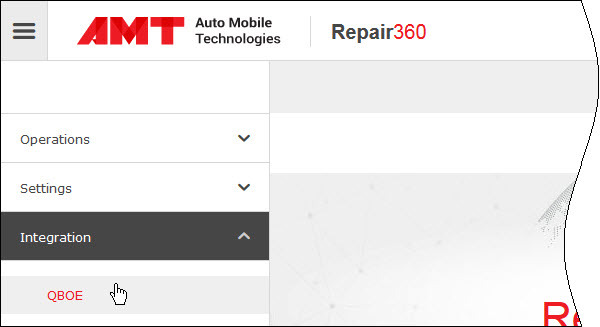 ...and the invoice status in Repair360 will be automatically changed to Exported.